Toddler Storytime Classes are back for the fall! We started out with a Stop and Go theme that focuses on self regulation. Research is finding that self regulation is critical for school success in preschool, kindergarten, and throughout elementary school. This storytime contains music and movement activities to help children practice these skills, and teaches them to stop, think, and then act. 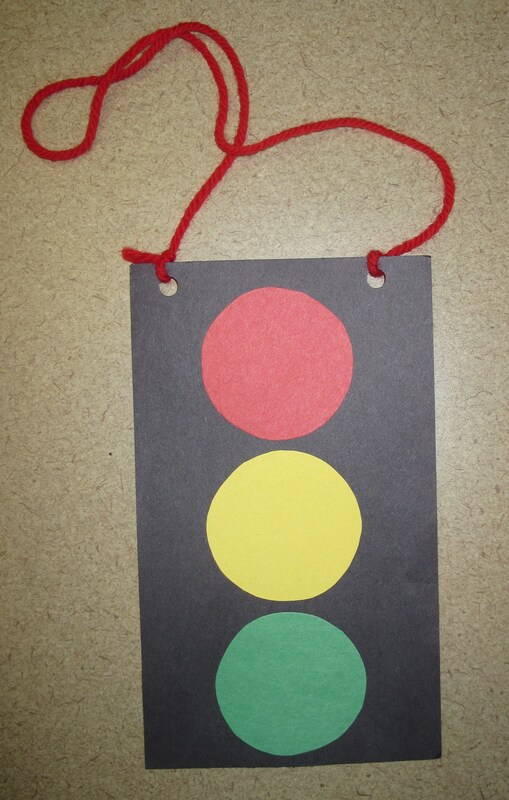 Show a traffic light and explain that red means “stop,” yellow mean “slow,” and green means “go.” I use green, yellow, and red pieces of paper to hold up for visual aids while doing this action rhyme. Then you can extend this rhyme out into a game using the pieces of paper – hold up the different colors and have children march quickly, slowly and freeze at the appropriate times. When I go out driving Pretend to drive. I’m a very happy fellow. Chickie: Stop and Go is a board book that is too small to read to a large group, so I made it into a flannel board story. I scanned each page of the book and enlarged the pictures (which surprisingly didn’t make the pictures fuzzy at all!). I then wrote the simple text on the back of each flannel board piece and voilà…a perfect storytime flannel board. What a great, simple craft from Sarah at Awesome Storytime via Storytime Katie! To make it even easier, I created a printable template for you. This was so timely for my vehicles storytime, you wouldn’t believe it! You save my bacon THIS MORNING! I was also wondering if I could get the text for Chickie Stop and Go. I’m working on Stop and Go Storytime and was looking for a flannel story to go with it. This looks perfect. Thank you in advance. Sure! I’ll email them over. I’m tardy for the party here. Could I get the words to Chickie also, please? Thanks so much! Love your blog and thanks for sharing! I’d love to use this flannel, but we also don’t have the book. Would you be able to send me the text and pics, too, please. thanks so much! I don’t have the pics saved because I photocopied them from the book, but I’d be happy to send over the words. 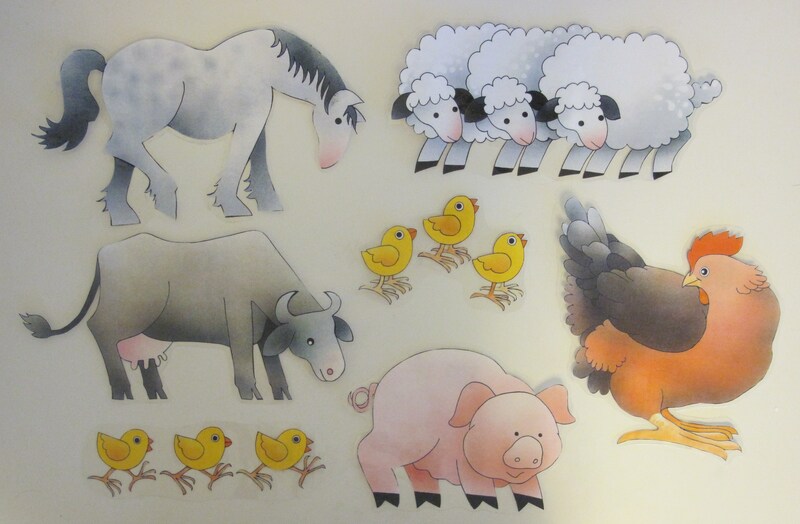 The animals are pretty easy to find clipart of. I often use http://www.clker.com to find free clipart, and I’m sure that they have the animals that you’ll need! Hi, Leah! Would you please send me the text for Chickie? It’s not available in my system and I’d love to give my stop and go storytime a facelift! Thanks for sharing! I would also like to get the text for the story Chickie stop and go! Thank you! I’m late to the party too, but can’t seem to track down the text for Chickie Stop and Go anywhere and it’s not in our system. Heading to Headstart soon and would love to make this flannelboard. Could you email it once again! Thanks! Me too! I am doing a Stop and Go storytime next week at my library, and the Chickie Stop and Go book sounds adorable. Of course, nobody in my library system has it. Could you e-mail me the text also? Thanks and God Bless! Sure thing! I’ll email you. If you’re still able to send the ‘Chickie Stop & Go’ book information – I too am from a system with no library that have the book. Hi Mary, I just sent you an email. Enjoy!